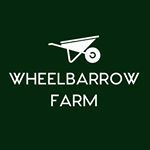 Wheelbarrow Farm was founded in the spring of 2008 on a 10 acre parcel of land northeast of Toronto. An acre of fallow field was ploughed that spring and the growing began. From the outset, our mission has been to grow high quality vegetables with a minimal impact on the environment. The humble wheelbarrow became our symbol and emphasized the human scale of the farm business. Since then, we’ve expanded the operation and currently grow 8 acres of vegetables, perennials, fruit and nut trees. We now employ four full-time staff and train three apprentices a year. We are still very much committed to our founding mission of growing fresh organic vegetables, building community and restoring the environment in the process.